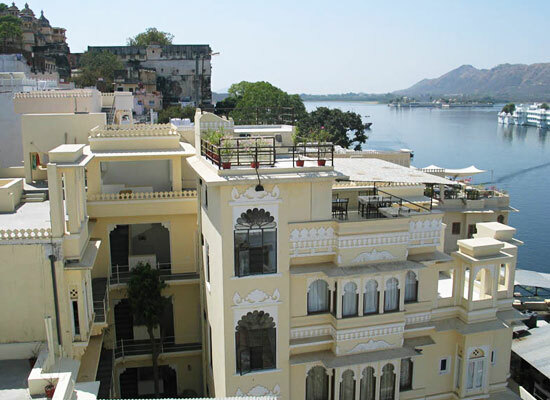 "Located on the eastern banks of Lake Pichola, Aashiya Haveli is one of the finest heritage hotels in Udaipur. This 224 years old property opened up for the city's travelers after renovation in 2006, equipped with all the modern comforts and amenities. 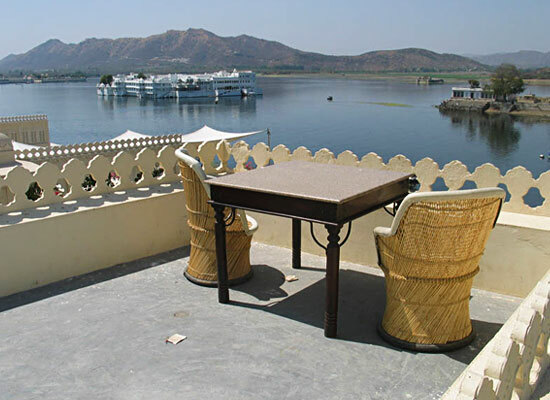 Managed by the original royal family, this traditional hotel of Udaipur offers a pleasant stay to the guests. The royal feel of the haveli has been kept intact. Maharana Bhim Singh ji of Charan family asked his family to construct an urban house in village Pasoond. Today this house is known as Aashiya Haveli. From that time, the royal Aashiya family has been living here. This family is around 224 years old and its reconstruction started in the year 2006. 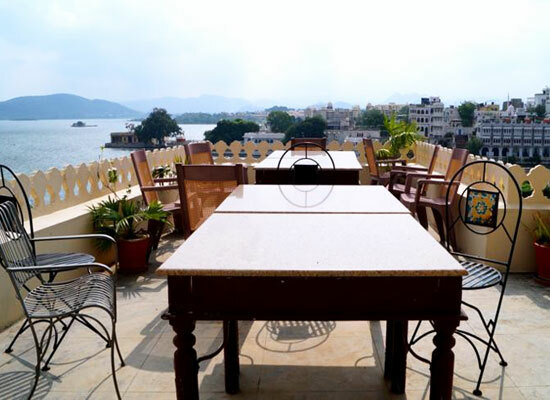 In a span of around two and a half years, the haveli opened as one of the heritage hotels of Udaipur. 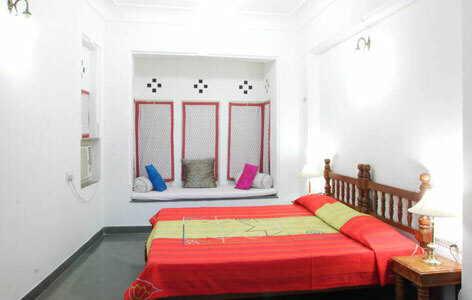 Hotel Aashiya Haveli comprises of traditional, elegant rooms, 12 in number, segregated into Deluxe rooms and Deluxe Family rooms. 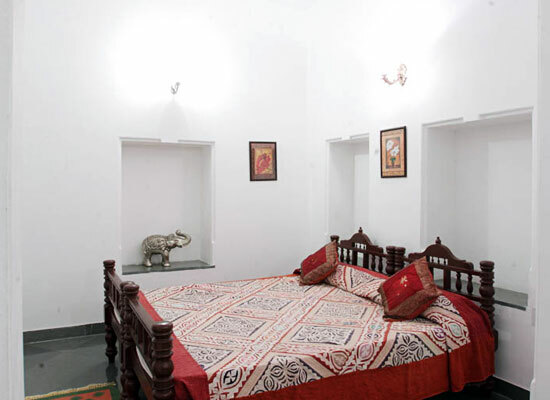 Each room comes with an attached bathrooms that has clean glistening white tiles, showers, hot water round the clock and western-style toilets. The colorful and unique décor has been given special attention by the management. From antiques, to chandeliers, from bedding to towels and from colorful pillows to hand-worked curtains, everything is hand-picked. The traditional interiors have been clubbed with contemporary comforts such as TV, telephones etc. Savor lovely views from your rooms. At the dining hall of the hotel, the guests can savor Satvik recipes (pure vegetarian) from the royal family’s kitchen. The extensive menu comprises of pure vegetarian Indian and Continental delicacies. Fresh meals are prepared on a daily basis by the trained chefs using aromatic spices. Guests can also place an order for their favorite hot or cold beverage. The ‘City of Lakes’ Udaipur is truly known to be one of the most romantic destinations of India, which is dotted with several tourist attractions. City Palace, Saheliyon ki Bari, Jagdish temple, Lake Palace, Fateh Sagar Lake, Jag Mandir, Lake Picola, Gulab Bagh and Zoo etc. are must-visit during sightseeing in Udaipur.